The Vivo V15 Pro has been listed on a landing page on Amazon.in It reveals some key features of the smartphone including the 32MP pop-up selfie camera, triple camera setup at its rear and more. 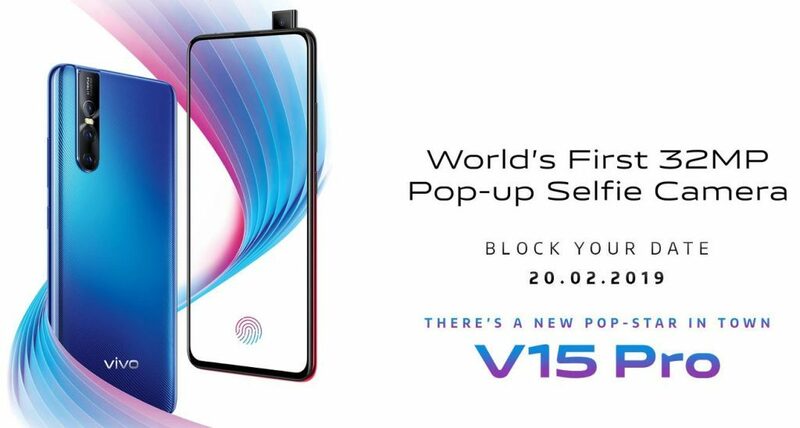 Vivo V15 Pro appears to have a pop-up selfie camera arrangement similar to that of the Vivo NEX devices. This sensor will be hidden in a motorized section that will ride from the top edge of the smartphone. For this reason, it is called a pop-up selfie camera. The landing page also gives us a glimpse at the triple camera module of this smartphone. It appears to have a 48MP primary camera sensor. This camera will output 12MP images in the extremely low-light conditions and use the pixel binning technology to enhance the sharpness, clarity and color reproduction of the images. The software will take four pixels and combine the same to create a superpixel with qualities. The landing page confirms that the upcoming Vivo smartphone will have an in-display fingerprint sensor. It is also touted to be refined over the past generation in-display fingerprint modules. So, we can expect it to be faster than the ones that we have seen on previous smartphones. Even the page indicates the same. It once again confirms the February 20 launch of the smartphone.